The complex on State Street along Highway 101, anchored by REI, was previously purchased in two separate deals for about $13 million between 2005 and 2010. 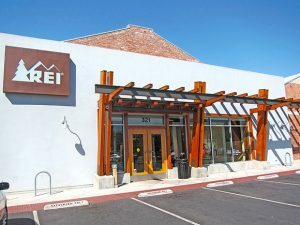 REI and Sit ’n Sleep will hand over their rent checks to a new landlord as the property’s former owner closed escrow on March 31. The property, located on State Street along Highway 101 in Santa Barbara, had been listed at $22 million and traded “within 3 to 4 percent” of asking price to an out-of-town buyer, according to lead broker Austin Herlihy of Radius Commercial Real Estate Investments. The terms of the deal were not disclosed. The property, which includes 314-324 State St. and 319-321 Anacapa St., was previously purchased in at least two separate deals by 318 State Street LLC for about $13 million between 2005 and 2010. The 94,206-square-foot parcel, bordered by Highway 101 and State and Anacapa streets, includes 55,545 square feet of fully leased retail space with storefronts on both streets and a large parking lot in front of REI’s entrance. The property was renovated in 2011 with REI opening in November of that year. 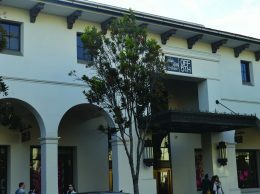 The company, which operates more than 100 stores across the country and named its Santa Barbara location Store of the Year in 2013, occupies the largest portion of space at about 24,500 square feet. National retailer Sit ’n Sleep fills the next largest space at about 8,500 square feet. Both companies hold long-term leases.